Many Saturdays, when we were very young, we would take the train into Manhattan to visit our uncle. As I understood the world back then, the city belonged to him. 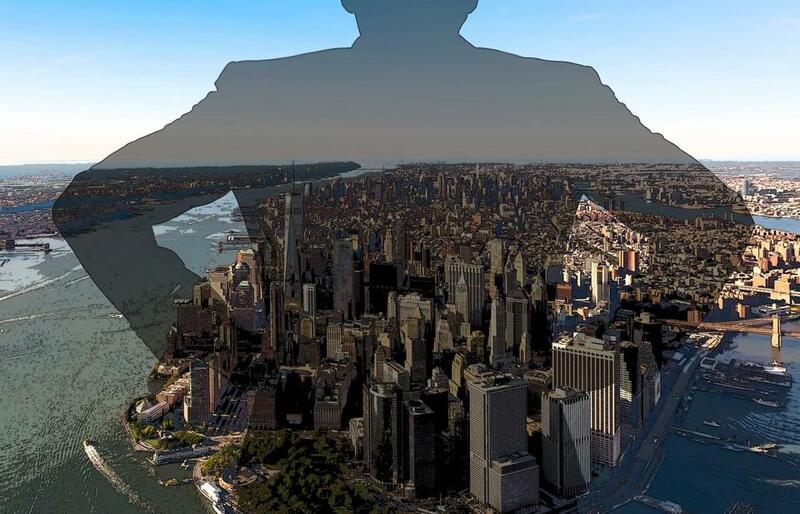 He owned New York. We would start at the Metropolitan Museum, not far from his apartment. From my child’s perspective, it was nothing more than an extension of his backyard. We’d gaze at sarcophagi in the Egyptian wing, and a few Old Masters who gazed back without interest, then race downstairs to the cafeteria. There were dishes of cubed gelatin and dimes for the wishing pool. Pretty neat, I’d think, tossing in a few coins and pocketing the rest: My uncle owns a museum. Afterward we’d stroll to Central Park and around the edges of a toy boat pond, sometimes hanging onto him, sometimes trying to fall in. A statue of Alice in Wonderland rose at one end. I knew my uncle had sculpted her. Back in his studio apartment, he kept a store of sophisticated comic books we loved to look at. I didn’t understand the jokes, but it was great satisfaction to laugh uproariously; a way of joining his sophisticated life. The books were by some guy named Jules Feiffer. Jules never dropped by while we were there, but it went without saying that he was my uncle’s best friend. This was father adoration without a father. Naturally it didn’t last. Somewhere, in the disappointing clarifications that come with leaving childhood, I realized my uncle didn’t own the Metropolitan Museum. He wasn’t a famous sculptor. He was nothing more than a man in his 20s — traditionally a time of single-minded self-absorption — living in an iconic city, spending weekends with his widowed sister-in-law and her children. Nothing more than that. As a child (which, in my defense, I was), I’d missed the real accomplishment. He lived in New York for purposes of his own, with no intention of becoming a parent. Yet, when the family path turned and he was needed, he turned with it. All of us are more complex and darker than our acts of generosity. But if Jules Feiffer never knew this man, it was his own great loss.